It was a couple of days before I was to shoot comedian Deep Fried Man (take a look at the articles he has previously done for TechSmart here) behind the scenes at the Lyric theatre, when I got a call from Nikon asking whether or not I would like to test drive their top-of-the-line D5. In the nano second before I said yes, there was a small doubt that cross my mind - I wondered if its size and complexity would hinder my shooting abilities? On the day of the show I arrived with the D5 and what I would soon realise, the quite amazing 35mm f1.4 lens. My trusty D7000 plus 27mm-350mm was also in the bag, you know, just in case. What follows is far from a full review. I shoot mainly prosumer cameras, and it would be hard for me to judge the complexities of the D5 that are mainly reserved for pros. However, here are a few observations based on my time with the D5. With ISO able to go up to 102 400 (expandable to ISO 3 276 800, but with serious noise), I knew I shouldn’t really have a problem with low-light situations. Shooting under regular indoor condition, like in the backstage area, was simply not a problem. Where I did pick up challenges was behind the curtain on stage just before show time. However, the ability to go for higher ISO allows one to relax a bit and not live so close to the edge regarding speed and aperture. The pic below was captured on ISO 40 000, making it possible to push shutter speed to 1/80, and the lens to a sweeter f5 and not f1.4 hoping it hits the spot. Autofocus was almost unnoticeable, meaning I barely paid attention to it since a) it was dead quiet, and b) it simply worked without any hassle. There are 153 focus points with a full 99 being cross-type, with 55 available for manual selection. To select them you can use the little joystick (sub-selector) to select your focus points. It works like a charm, and I hope Nikon pushed it through to the lower tiers, as they have done now with the D500. The selectable focus points are mainly centred around the middle, and I would have liked to have seen at least a few around the outer edges too. With a 20.3 MP full frame CMOS sensor, the D5 is a step up from 16.2 MP on the D4s, but still a distance from the 36.3 MP on the D800. 20.3 MP on a full frame is certainly not a lot and allows the pixels themselves to be a fair bit larger (41.4 µm² vs 23.8 µm² on the D800). Sport photographers will love the D5 for the 12 fps frame rate (while automatically focussing and adjusting EV), or 14 fps with the mirror up. Added to this is buffer that just keeps going, all the way to 200 RAW (NEF) images in a burst – it’s a sound to be heard to be believed. All this is supported by the Expeed 5 processor, also found on the new D500. Performance wise the D5 is a workhorse, while I was more than satisfied with image quality. It helps a lot that the 3.2” display at the back (2 359 000 dots resolution) is touch enabled, especially handy when pinching to zoom into captured images. Because the bulkiness of the unit, I rarely used live-view to shoot. For videographers I would think the 4K video abilities of the D5 would be what they are looking for, but during my time with it I never pushed the record button. Less impressive is that the D5 doesn’t include Wi-Fi, most probably due to the strong magnesium alloy body. It’s a feature that has become almost ubiquitous on new cameras, so for anyone moving up in the range, you’ll need to buy a Wi-Fi adapter. As a pick-up and go camera, the D5 was far less intimidating than I thought it would be. But, having said that, I was content with adjustments on the go without delving too much into the menu system. This was easy enough if you know how Nikon works, noting that as a flagship, the D5 has all the intricacies and shooting adjustments that pros would need if you are happy to delve into the manual and manoeuvre around the menu structure. 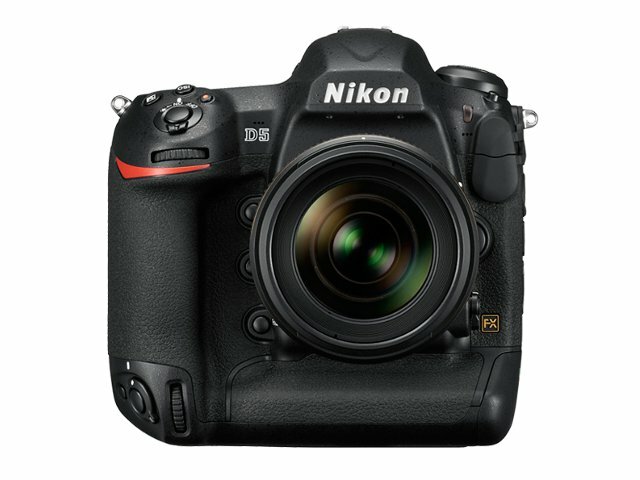 At a full 1415 g for the body only, Nikon created nothing less than a beast of a camera. I really noticed the difference when handling my D7000 in comparison, a bit like picking up a compact camera after shooting a DSLR. Being as robust as it is I have no doubt that the D5 will be able to take whatever pros throw at it, while it’s obviously also weather sealed. If I have to be honest, the size is simply too much for the type of shooting I’m involved in. Perhaps just a word on the impressive 35mm f1.4G IF-ED N lens (recommended price R45 000). As with most full frames, the selection of lenses plays a major part in image quality. When I planned the shoot with Deep Fried Man, my thoughts were to take along a nifty-fifty, preferable the f1.4 if I could get my hands on it. The 35mm is what I received, and so much the better for it. The extra horizontal width allowed for more space around the subject, and in the close quarters we were operating in most of the time, this came as a saving grace. I also can’t stress enough how much of a joy it was to focus with the D5. It's almost as if it wasn’t something needed to be concentrate on, allowing one to pay much more attention on composition. If I did I have a problem focussing in low light (Nikon claims EV-4), I simply had to find a point with a bit of contrast to it and in most cases it was fine. With a price-tag of R135 000 (body only), it’s very clear who the target market is for the D5. It has flagship written all over and is the type of camera that one could imagine will run for ages, with a strong lineage that started way back with Nikon’s F series of professional models (I would give my two front teeth for a mint F3HP). For my needs, however, the D5 is simply too much and its sheer bulk would prevent me from lugging it around. That’s not to say it’s not an amazing camera, with the autofocus, low light ability and image quality just being simply superb. The images are all straight from camera Jpegs, with no editing. The full gallery is available as edited images here.